On Ambergris Caye this morning the sea is calm and sky clear. Summer seems to be here for the Caribbean. Tornadoes and woodpeckers are screwing with the internet. Our regular info isn't available so eyeballing the weather is what you get today. It's gorgeous and a perfect day to be on the beach or sea. 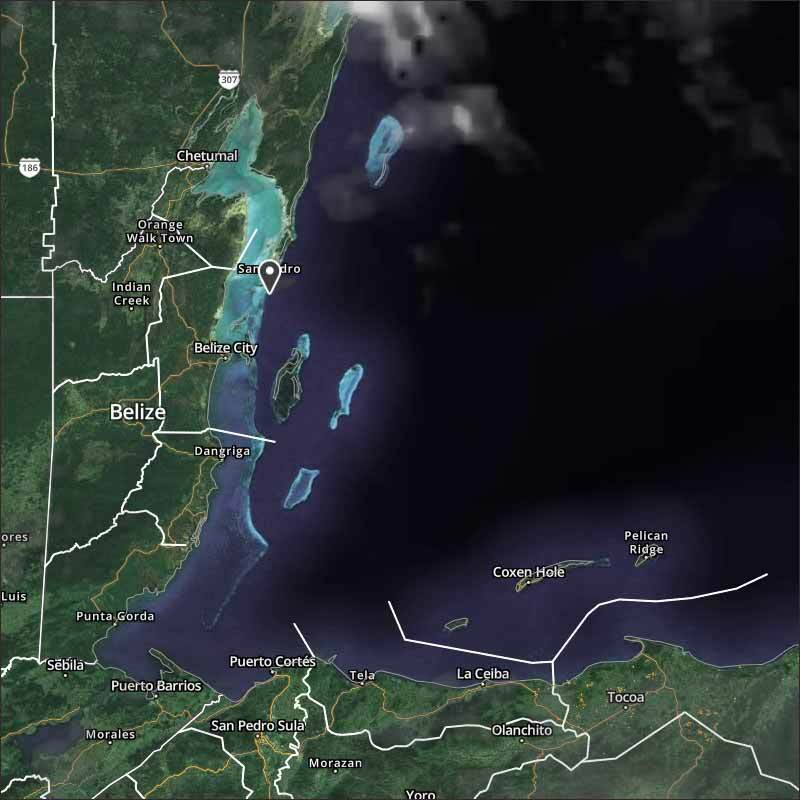 Belize NMS: Generally fair weather conditions prevail. Generally fair weather is expected to persist through the weekend and into the new work week. 24-hour forecast: Mostly sunny skies during the daytime and partly cloudy skies tonight. Showers will be isolated. Today: Winds: E-NE 5-15 kt. ; seas: Choppy; waves: 3-4 ft.; isolated showers. Tomorrow: Winds: E-NE 5-15 kt. ; seas: Choppy; waves: 3-4 ft.; isolated showers. 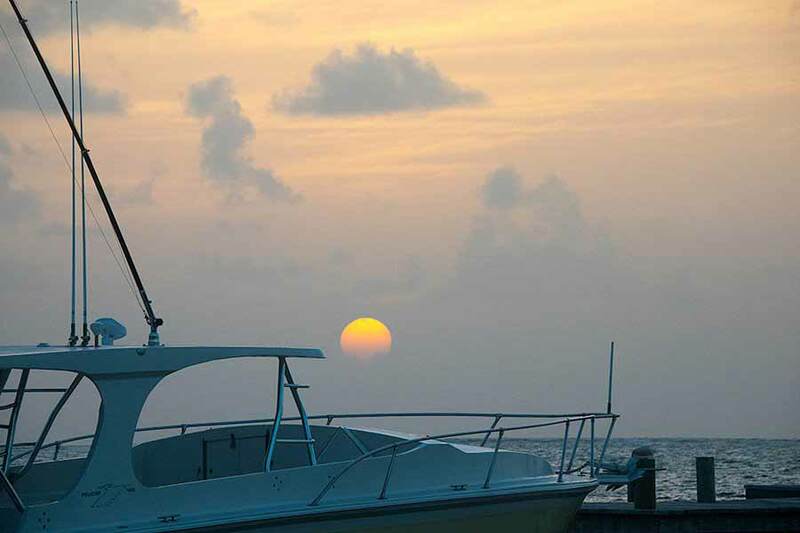 Marine Outlook: Sunday night: Winds: E-NE 5-15 kt. ; seas: Choppy - moderate; waves: 3-5 ft.; isolated showers. General Outlook: For Sunday afternoon through to midday Monday is for similar weather conditions to prevail. 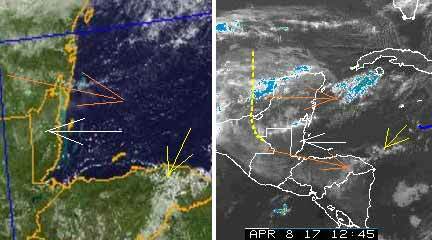 The cold front as such has gone, but the easterly Caribbean winds are bringing in some of the cooler air presently. The high level tried to give us some rain last night, but it did not materialize. Looks like today will be mainly sunny, but with some high cloud and white clouds developing, not expecting any rain.